A+ English language school provides English classes for adults and TESOL teacher training. We are now into our 3rd year of offering TESOL courses and still continue with 100% pass rate! We are excited to inform you that we are launching a new adventure, and taking our CertTESOL course to Morocco! the same amazing teaching plan! We are looking for new TESOL candidates that are interested in travelling to Morocco to gain a CertTESOL qualification. This course provides outstanding support with an amazing academic team! contact Stephanie@apluscentres.co.uk for more information! TESOL update - Terrible timing! Things are getting hotter in the CertTESOL kitchen. We've been teaching for a few weeks now and I think all of us are getting used to it. My timings are still atrocious, though. 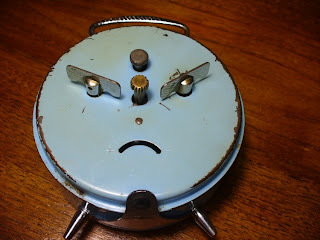 In the last lesson I taught, we didn't even get to the final production activity because I took too long on the others. I was upset with myself as I had spent ages on youtube sorting out some spooky music to play during it. The context was 'mysteries' and I had planned a fun activity with the students reading a 'make your own adventure' story that also asked them questions that needed to be answered using past modals of deduction. It was going to be great, but the trouble was that the class was double the size of classes I had taught before, and I didn't modify my teaching to take that into account. I gave each student individual attention, which ate into the time I had allotted each activity and meant that some students were waiting for me to come round to them and, consequently, took longer on the activities than normal. Ah, well. I learned a valuable lesson and this is exactly the reason why we teach so many real classes before we qualify. I also got a bit adventurous with one lesson I taught the Copper class and decided to try task-based learning. This is our director-of-studies' favourite method of teaching, and I've always been intrigued by it so thought that this was the perfect opportunity to give it a go. It also meant that I would definitely get to do the fun bit of the lesson as it is at the beginning, not the end! I actually chickened out slightly and tried a watered-down version with some pre-arranged grammar shoehorned into the middle. This wasn't entirely successful as, despite copious scaffolding using the target language, the students weren't able to produce it themselves. I think I was being a bit ambitious with my pre-intermediate group. They seemed to enjoy the task though. I asked them about their favourite holidays, then lead into an activity to plan their dream holiday. I split them into groups, gave them a budget of £1000 and various pieces of paper with different accommodation, catering, transport and activity options, all priced with costs that would mean it would be difficult to have everything they wanted, to encourage discussion. I asked them to say why they chose the options over others, attempting to get them to use "I prefer" and "I'd rather." They all did very well with their planning. I monitored their discussions and was really impressed that even the quieter ones were getting involved. I then switched to teaching the grammar of "I prefer" and "I'd rather," which is totally cheating in task-based learning terms, but, to be fair, it was my first attempt, so I'm not being too harsh with myself! I asked them to present their holidays to the class using the target language. Originally, I had intended to have them all present a little bit of their holiday as at the beginning of the task I had asked them to each pick an activity that is special for them. 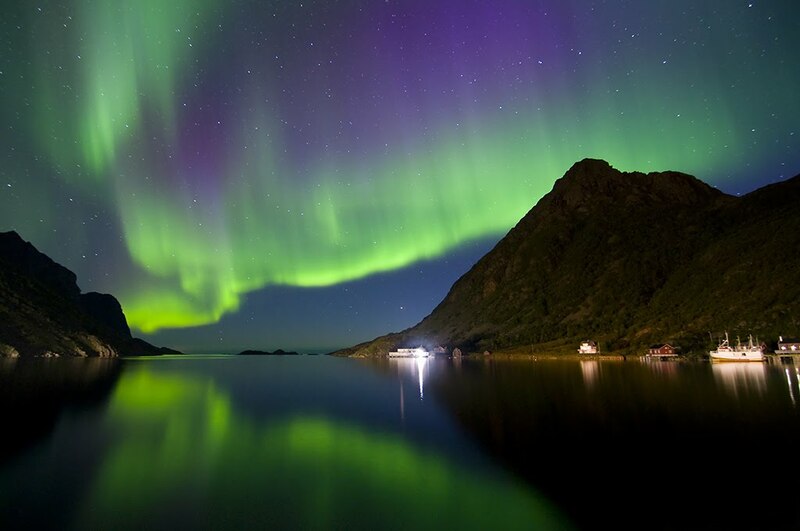 However, due to me getting very excited when Sunao told us that her favourite holiday was when she went to see the Northern Lights (something I've always wanted to see), asking her lots of questions about it and explaining to the rest of the class what the Northern Lights are, I had run out of time again! I thought I had planned it so well, too! Ah, well - at least I'm enthusiastic. I had to severely truncate the rest of my lesson so my poor class could finish in time to have a break and asked each group to choose one member to present their holiday. This had the effect that only the presenter got to practice the target language, which was such a shame as the rest of the lesson had gone well and I know that if only I'd reigned myself in at the beginning of the lesson, it wouldn't have ended so badly. Timing is obviously something I've still got to work on, and I hope to one day conquer it! Ever with their fingers on the pulse of current trends, our students decided to perform their own Harlem Shake one lunchtime. They improvised some costumes out of things found around the common room and had a quick practice before launching into it! Here's the results. "Good morning," Khalifa said this morning as he put not one, but two trophies on my desk! I stared at them for a moment before realising what they were. Before I could ask him what the match was like, he was walking down the corridor and into class so he left me looking at the football trophies in astonishment. Then, I got excited and ran down the corridor with a trophy in each hand to show everyone. We've won the football! At A+, we play 5-a-side football every Monday evening at Woodbourn Road football pitch. It's a very popular social activity and we often end up playing 7 or 8-a-side as more people sign up for it. 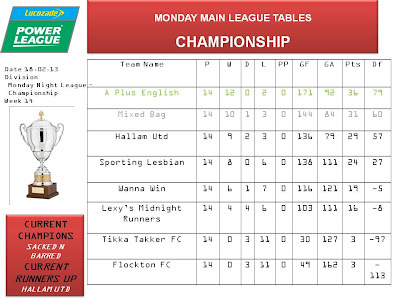 We've been playing there for years but have got a bit more organised recently and started playing in the league. The organisers put us in the Championship Division and we've been steadily getting better and better with each match and getting higher and higher in the league. Last night was the final and we were quietly confident that we'd have a fighting chance at the top spot. 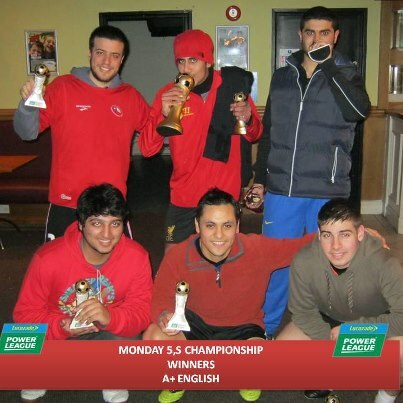 We'd very recently persuaded Munur, a professional footballer in his native Cyprus, to play for us and he was so good that he scored 8 goals and won 'man of the match!' Khalifa, our team captain has been a stalwart, organising a team each time they played. Aqeel played so hard last night that he injured both his knees and is currently at home recovering. Our other fantastic players were Pastor, Nicolas and Javier. It was a tough game and the other team put up a good defence but in the end, they were no competition for us and we won the match 17-9! I think you'll join me in congratulating the team on a well-deserved win! We spent a sunny Sunday in Kelham Island last week. We met at the Cathedral tram stop and took the tram to Shalesmoor, which is near Kelham Island. 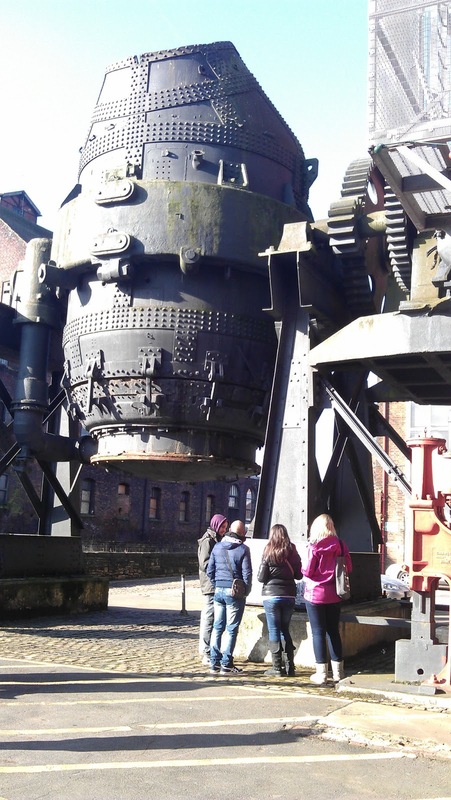 We walked to the Kelham Island Museum through the old streets and past all the old industrial buildings, and I told the students some of the history of Sheffield. We reached the museum and stopped to look at the River Don, and I told the students about how rivers were very important in the history of industry in Sheffield. Rivers provided water for the mills and steam engines and boats could transport coal to the factories to power the machines, and then take the goods that were made away to be sold. We spent some time looking at the huge Bessemer converter outside the museum. The students were impressed with how big it was. Then, we went inside the museum and saw lots of exciting things. 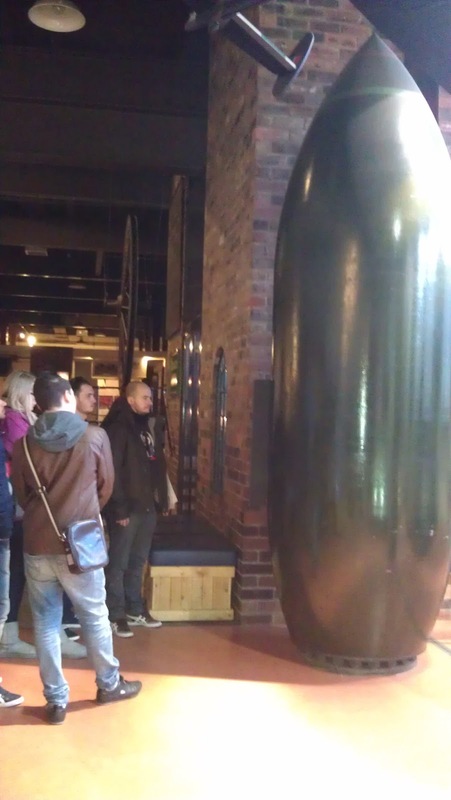 We saw the heaviest bomb in the world, the Grand Slam Bomb, weighing 10 tonnes. We also saw a machine powered by gas, the Crossley Gas Engine. We were very excited when it was announced that they would be running the River Don Engine, a very powerful steam engine that was used to roll steel plates and we hurried to the engine room. The engine was very noisy and we saw steam coming out of the valves. After we had seen the steam engine, we went around the rest of the museum. There was a reconstruction of a Victorian street that had traditional craft shops and we learned about how hard life was in the Victorian era. We also saw some very old cars and a jet engine from a plane. After we had seen everything there was to see at the museum, we went for lunch in the museum cafe. As it was Sunday, a lot of us had a traditional British Sunday lunch of roast chicken, roast potatoes, Yorkshire pudding, roast parsnips and carrots. Then, some of us went to the pub. Kelham Island is famous for microbreweries (places that brew a small amount of beer) so we went to the Fat Cat, a very good pub next to the museum, to try some of the local beer. We had a great time and hope to do it again soon! I taught my first English lesson to real students last week and it went pretty well, if I do say so myself. They were all very kind to me, which helped because I was a little bit nervous! I started out by asking the students if they were ok and whether they had any worries, attempting to elicit some problems from them that I could use to present the language. Of course, none of them had any problems (well, none that they wanted to share, anyway) so I introduced one of my own. I told them about my struggle to lose weight and got some excellent advice from one student in particular! I weaved the context of agony aunts into the conversation by asking if there was anywhere I could write to for advice (since I was so embarrassed about my problem) and the students managed to get what I was driving at and said that I could write to a magazine. Bingo! At those magic words, I was able to properly introduce the lesson context, explaining what agony means and checking that the students knew what 'anonymous' meant. I projected the mock-up of an agony aunt page on the wall and asked the students to have a look at it. I then brought in my first activity. I had spent the previous night writing a few problems on one set of cards and the solutions for the problems on another set and finding some pictures to illustrate them. I used a laminator for only the second time in my life to produce a rather spiffing set of cards. The idea was that the students were given one problem and one solution each, but the problems and solutions didn't match. To get a matching pair, they would have to confide their problems in each other. When they had found the person with the matching advice card, the other person would read them the advice, then give them the card. They could only sit down when they had got their matching advice card and given the other advice card away to someone else. I modelled the activity with Marco to make sure that they understood what they had to do but they stood about waiting for one person to read their problem out loud to the group, rather than mingling and talking amongst themselves, so I had to prompt them to interact. Afterwards, in my feedback session, Artemis said that although my instruction had been clear and my modelling good, sometimes students just need to be re-instructed, so that is something I will work on for next time. Having got the students to match the problems and solutions, I then asked them to read what they had and projected the sentences onto the wall. I got them to analyse the grammar of the language used and also the difference in tone between them, 'should' being used for strong advice, whereas 'you could try' used for suggestions. I then quickly introduced the creative part of the lesson. I gave the students a sheet, the top half of which was labelled 'letter to an agony aunt,' and asked the students to think of a problem and write to an agony aunt about it for advice. They then swapped with someone else in the class who pretended that they were the agony aunt and replied, using the structures that we had looked at earlier. I then asked them to read out the problems and the advice given to the rest of the class. Well, some of them were just hilarious. Bad breath featured heavily in a couple of cases. There was one husband who begged the agony aunt to save his marriage as his wife had such bad breath that he couldn't kiss her any more. The advice given was to scare the poor woman with tales of all the things that could be wrong with her until she went to the dentist. Another person's boss had bad breath and in the current economic climate, he didn't want to leave the job as he was afraid he wouldn't get a new one. The advice was to make a gift of some mouthwash and breath freshener as the boss couldn't turn down a present. Another person kept sleepwalking and one night woke up to find herself in the middle of the street wearing a Santa outfit! The agony aunt said that they really wanted to help, but first of all, the writer should stop drinking so much! Yet another one was simply unprintable, but very funny. I felt so lucky to have such talented students who really threw themselves into the activity. I'm teaching them again this week so I hope this coming lesson is as entertaining as the last one. We've got past modals of ability tomorrow so I'm designing a lesson around their greatest achievements. Hopefully, they'll enjoy this one too. Zoe, our director, decided to get us lots of pancakes today to celebrate Pancake Day! We all sat in the common room and ate pancakes with chocolate spread, lemon and sugar, lemon sauce and golden syrup - not all mixed together - although some interesting concoctions were made and we learnt that chocolate spread and golden syrup is actually quite nice, but incredibly sweet. Using a sieve, sift the flour and salt into a bowl. In a separate bowl, mix the eggs and milk with a fork. Gradually add the eggs and milk mixture to the flour, mixing well until it makes a smooth pancake batter. Melt the butter in a frying pan then pour enough pancake batter in to cover the bottom of the pan. Cook until the bottom has started to brown, then flip the pancake (or use a spatula to turn it over) and cook the other side. Serve with your favourite topping. A+ Centres is an English language centre in the heart of Sheffield. We provide general English lessons at our school on the prestigious Ecclesall Road. Our school has also been chosen as a teacher training centre by Trinity and many of our teachers are home-grown.